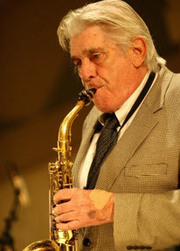 As the founder of Supersax, Med Flory has always been an accomplished and exciting musician. Supersax was formed Med Flory and Buddy Clark that played Charlie Parker’s solos in unison, reached unexpectedly wide audience: made debut ’72; first album Supersax Plays Bird won Grammy ’73. Reedman/arr. 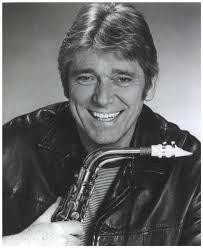 Meredith ‘Med’ Flory (b 27 Aug. ’26, Logansport IN) had left music after studio work in NYC, then West Coast; was acting, writing TV scripts, when he conceived Supersax with bassist Clark (who left ’75). Other LPs include: Salt Peanuts and Supersax Plays Bird With Strings on Capitol; Chasin’ The Bird, Dynamite ’77–8 on MPS; three LPs with the LA Voices on CBS incl. Embraceable You, Vol. 2 and Straighten Up And Fly Right ’82–6. Lou Levy on piano (b 5 March ’28, Chicago) was a member from end ’73 to ’80s; also recorded with Chub Jackson (Bebop Revisited on Xanadu), as accompanist for Peggy Lee, Nancy Wilson, Frank Sinatra (My Way on Reprise) etc. Many musicians who’ve toured with Supersax incl. reedman Jack Nimitz (b 11 Jan. ’30, Washington DC), bassist Frank De La Rosa (b 26 Dec. ’33, El Paso), Conte Candoli; Warne Marsh was with them in Chicago ’76 when he took time off to make All Music on Nessa, with Levy, drummer Jake Hanna, bassist Fred Atwood. On CD The Joy Of Sax on Pair incl. Flory, Marsh, Candoli, Hanna. Oh yeah – he’s also a well-known actor.